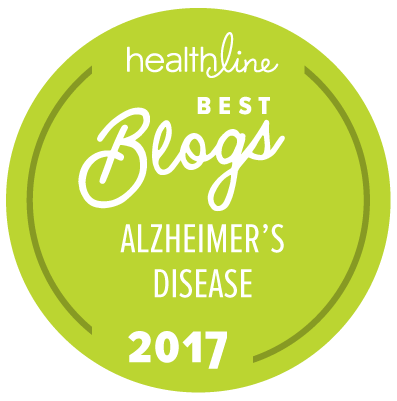 This is part one of a three-part series on the need to act decisively to address the Alzheimer’s crisis. Part two addresses the research needs and opportunities. Part three reveals public opinion on the need for government to act. In the three seconds it takes you to read this sentence, taxpayers will have spent more than $15,000 on Alzheimer’s disease and other dementias. Within the hour, the cost will reach $18.3 million. Our nation’s entitlement programs are coming under increasing strain as the cost of Alzheimer’s and other dementias are poised to cost Medicare and Medicaid $160 billion this year alone. At this moment, more than five million people are living with the disease, and, without medical breakthroughs, by 2050 that statistic may be as high as 16 million people at a cost of $1.1 trillion per year to Medicare and Medicaid. The baby-boom generation is on track to become Generation Alzheimer’s, as more than 28 million of them are expected to develop the disease. Alzheimer’s, the most common cause of dementia, is a progressive brain disorder that damages and eventually destroys brain cells, leading to loss of memory, thinking capacity and other brain functions. Over time, those with the disease become entirely dependent on others for all activities of daily living. Those with severe or late stage Alzheimer’s eventually lose their ability to eat, bathe and manage their own bodily functions. It is a devastating disease for those living with it and for their families who watch their loved ones slip away. Ultimately, Alzheimer’s is always fatal. We cannot yet celebrate a single Alzheimer’s survivor. What’s more, there are no available therapies to address the underlying cause of Alzheimer’s, making it the only disease among the top 10 causes of death in the United States that cannot be prevented, cured or even slowed. With its soaring prevalence, lack of effective treatment and skyrocketing costs, Alzheimer’s disease is a crippling triple threat unlike any other disease. In just a few decades Alzheimer’s has reached epidemic proportions, while the federal research funding necessary to better understand and eliminate the disease has been insufficient to meet scientific recommendations. A few months ago, however, Congress took an important step with the largest-ever federal funding increase for Alzheimer’s disease research, which now totals nearly $1 billion per year. While this is a promising step in the journey to end this epidemic, the nation’s top scientists and researchers have told Congress that research funding must be brought up to at least $2 billion per year — a level comparable to that for other major diseases — if Congress intends to make adequate progress against this disease in time to be relevant for most Baby Boomers. Already America’s most expensive disease with an estimated cost of care at $236 billion a year, excluding unpaid family caregiving, the cost to our nation will only continue to grow as our nation’s population ages. Today, an estimated 5.4 million Americans have Alzheimer’s disease, including approximately 200,000 under the age of 65. One in nine people age 65 and older have Alzheimer’s, and one in three seniors dies with Alzheimer’s or another dementia. Increasing age is the greatest risk factor for Alzheimer’s, and the U.S. population is aging. As baby boomers reach the age of greater risk of developing Alzheimer’s, it can be expected that — barring a treatment or breakthrough — millions of them will spend their retirement years either living with Alzheimer’s or caring for someone who has it. And while the medical community is working hard to find treatments, today the five drugs approved by the U.S. Food and Drug Administration to treat Alzheimer’s only temporarily help memory and thinking problems in about half of the people who take them. The medications do not treat the underlying causes of Alzheimer’s. Alzheimer’s makes treating patients with multiple diseases more expensive, and most individuals with Alzheimer’s typically suffer from more than one chronic condition. For example, a patient with diabetes and Alzheimer’s costs Medicare 81 percent more than a patient who only has diabetes, according to our analysis of Medicare claims data. This is a disastrous formula for Medicare. Today, Medicare already spends one dollar of every five on care for beneficiaries with Alzheimer’s or another dementia. By 2050, that will increase to one dollar of every three. And, in 2050 Medicare spending just on people with Alzheimer’s disease will be almost as much as the total defense budget is today.